Acorn Flour Cookies and Acorn Coffee. Here is a very good article on leeching tannins from acorns. These are good cookies i loved them. I put peanut butter on the cookies but you could put it in them. I used a coarser flour for these ones and they seemed too gritty. 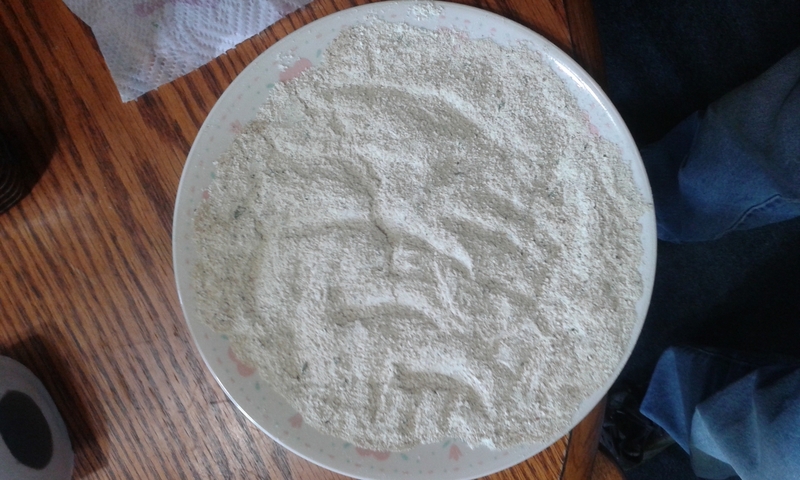 I wanted to see how they tasted with a coarser flour. Grinding the flour so it is finer seems to give you more flavor. These come out with a slight chocolate like taste. 2 Cups Acorn flower – finely ground and sifted of any impurities for a smooth chocolate or more coarse for a nutty texture. Dry roast it on a cookie sheet in the oven at 200 until dark almost chocolate colored. I heated the flour I made the cookies in the pictures from for too long and they came out with a slight bitter taste. They taste better if you roast them a little lighter. ½ cup of honey or other sweetener. 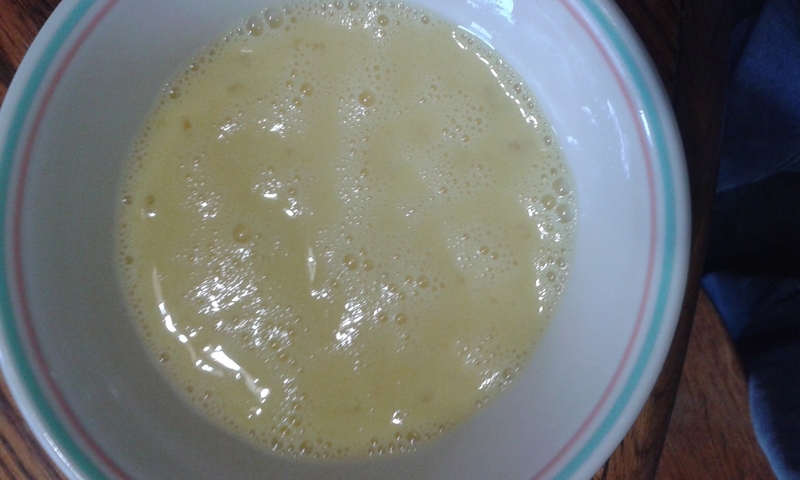 2/3 cup of coconut oil, ghee, butter or another kind of fat. If you use the peanut butter in the cookie instead of on it then use a little less fat. Combine sugar, milk and the fat source you have chosen in a pan along with the salt and if you choose to put the peanut butter in the cookie instead of on it then also put it in the pan. Cook on low heat until the moisture is gone then add the flour you roasted and stir. When mixed well use a tablespoon to drop onto a greased cookie sheet. Refrigerate , I hope you enjoy them. To make the coffee grind some nuts up in a coffee grinder then put on a cookie sheet and roast them in the oven on 250 until they are brown for light coffee. For a stronger coffee roast them at 300. I do not know the timing because I go by sight. The coffee in the picture is a light coffee. It has a slight nutty flavor. This is not medical advice I am posting this for educational and informational reasons only. Black Sativa helps with cardiovascular disease by stabilizing mast cells. Black sativa improves thyroid health. Black sativa reduces oxidative stress. Make sure your sources of beta glucan is organic because if you have read my post on GMOs you would know they destroy our health and many sources of Beta Glucan are GMO if not organic. Grains and mushrooms are sources of beta glucan. I do not agree with everything in this article but it is fairly accurate. It describes different fibers and their functions. Health effect of beta glucans. Beta glucon helps rats with diabetes. Yeast glucon strengthens the immune system. Cat’s claw helps prevent diabetes. Used to be known as Erigeron Canadensis. It has a somewhat hot taste like black pepper. I like the taste but I think it is better to use as a spice. Many use it in place of tarragon. I do not know what tarragon taste like so cannot comment on that. I used to grow it now I try and manage it. It does not take much for it to get away from you and overtake things. Some call it Horseweed, some call it mares tail. Is resistant to glyphosate so be careful where you forage it. It helps fight cancer and reduces oxidative stress. Phytochemicals, wow has some good ones. Has anti-inflammatory effects, possibly by upregulating heme oxygenase-1 expression. Seems it may help with adrenal fatigue. Reduces oxidative stress, and decreases CO2 generation in platelets. Most call P. Major broad leaf plantain and P. Lanceolata narrow leaf plantain. The health benefits are similar but P. Major taste much better though I like the taste of both, I prefer P. Major. Or P Rugelii which looks similar to P. Major but it has a purple or red color at the bottom of the leaf stem. It is the mildest tasting of the three and has a somewhat sweet taste. This is another herb that is a power house when it comes to healing. It can help balance the immune system. Helps with inflammation and poor blood circulation. Kills many pathogens and has amazing healing abilities. It can kill gangrene so the phytochemicals are being researched in it. It also fights chronic illnesses even cancer. I have found it works fantastic for rashes especially poison ivy. To prevent a rash I will take Jewel Weed and use the juices because it is good at breaking up the urishiol. It doesn’t prevent the rash though but will reduce the effects of the urishiol in poison ivy or poison sumac. I then use the juice from plantain to prevent the a rash. It contains biacalein which is what give sculletaria it’s healing benefits. Speeds up the healing of wounds and prevents infection. Protects the renal system from inflammation. It also protects our bodies from oxidative stress which is the cause of chronic illness. The many benefits are listed in this study. It contians biacalein and aucubin. This gives it many healing abilities along with the ability to fight pathogens. Biacalein has been shown to reverse some injury to the cardiovascular system and the lungs. Contains oligosaccharides (mucilage) which help balance gut bacteria and heal the gut. The seeds have the most mucilage and really helped heal my gut. The seeds are what most know as physillium. Galinsoga Parviflora is the one I am familiar with and the one I grow. There are many varieties and they have similar health effects. Galinsoga is one of my favorites when it comes to taste. It has a mild taste. It also has many benefits and is a natural ACE inhibitor. Has antioxidant abilities comparable to silymarin. Has antimicrobial abilities. Galinsoga I also and Alpha glucosidase inhibitor which would help with diabetes. It would also inhibit viruses like HIV and Hepatitis. Those with glycogen storage disorders would want to avoid eating Galinsoga. Galinsoga is also a urease inhibitor which would prevent many types of infection and reduces urinary stone formation. It would also help with high blood pressure because it is an ace inhibitor. All those benefits and it is tasty to. This is not medical advice and should not be taken as such. This is for informational and educational purposes. If in doubt don’t, know a plant before you use it. I found out about this plant by accident. I strange weed started growing in my garden. I posted it in a plant ID group on Facebook and they identified it as Arugula. I tasted it and it had a pleasant taste. Not only that I have Lyme and was having a bad day, after eating it I felt better so decided to find out more about it. I eat it in salads and on pizza but I have heard that it taste good added to dishes you would add oregano to like spaghetti. It would help those who have myocarditis or thrombosis it prevents blood clotting. It is probably why it made me feel better because I have Lyme carditis. It helps with neurological issues and would help with autoimmunity because it restores function of IL-10 which Lyme and HIV inhibit. High in antioxidants so it improves skin barrier function. It contains Isorhamnetin which is also found in onions and other spices. It is renoprotective. It chelates the bad iron from the body and reduces reactive oxygen species. It inhibits urease which would help with gastric ulcers. It would also help lower ammonia levels in the body. Reduces Quinone which would help with sepsis, detox issues, a leaky blood brain barrier and hormone issues. Would help protect from vaccine injury and other toxins. Protects the thyroid. Reduces inflammation because it is high in isothiocyanites. This is not medical advice it should not be taken as such. I am posting this for informational and educational purposes only. If in doubt do not use a plant if you are not certain of it’s safety or identification. Angelica is related to carrots and celery so will taste similar. I have Angelica Archangelica and it has a mild celery like taste. Some species of Angelica can cause light sensitivity when eaten. A. Sylvestris is one of them. There are many toxic plants that look very similar so make certain you know this one before you even try to use it. Angelica has a husk like part close to where the stems meet. The one I am familiar with is Angelica Archangelica. It is the only one I have seen. It can get very tall, mine used to be then I cut it down. Every since I cut it down it has not recovered. Each Angelica species has their own unique benefits. A. Archangelica has free radical scavenging properties, and strong antimicrobial properties and taste good to. Those with high acetycholine levels should not take it because it can slightly raise acetycholine levels. Leaves and stems are best for anxiety. If there is poison Hemlock nearby don’t use it . There are claims Angelica and Hemlock can hybridize. Please make certain you know a plant before using it. If in doubt don’t. This is not medical advice and should not be taken as such. I have eaten the leaves of wild sarsparilla they do not have much flavor. The roots I have made tea with and I do not think the tea tasted very good but it does have many health benefits. This is in the same family as Panax Gensing and has many of the same chemical properties which means it is adaptogenic. It is in the same family as gensing so has many of the same properties. Golden Rod has a peppery taste. I have eaten the root when young and it is tasty but not so tasty when it gets older. It has great detoxing and antibiotic properties. It helps reduce coughing. Most only eat the leaves and flowers. I do know it must kill tick born illness because when I first drank tea made from it I herxed very bad. In low doses in increases reactive oxygen species and in high doses it lowers them. This is not medical advice and should not be taken as such. I am posting this for informational and educational purposes only. If in doubt don’t get to know a plant and it’s safety before using it. There are many plants in the Smilax family in my area which is the eastern part of the United States. The ones I am familiar with are S. Ecirrhata, and S. Tamnoides. S. Tamnoides has briars on them that really hurt when jagged by them. We also have S. Glauca, S. Herbaceous, S. Rotundifolia, S. Pulverulenta, and S. Pseudochina in my area. I have eaten the leaves and like the taste. Many say the young shoots taste like asparagus. I have never eaten the roots but they are edible. Most of them have the same phytochemicals that I am familiar with so they will be the ones I list studies on. Helps with pelvic inflammatory disease. Contain Astilbin which is renal protective. Contains steroidal saponins. Which has antifungal, and anti inflammatory. Contains taxifolin which has many health benefits. It is also known as dihydroquerciten. Too many benefits to list here. This is not medical advice and should not be taken as such. I am posting this for educational and informational purposes only. Please be careful make sure you know a plant before you use it. Known as Wild Yam. I have tasted it, it is not to bad. The leaves and root contain estrogen like chemicals and have steroidal like properties. This one has been found to have many benefits for women. There are hundreds of varieties of Discoria and many of them have similar phytochemicals. The most common one found in North America is D Villosa. There is one from China that grows a bigger root. D Villosa is the one I grow. It contains diosgenin which is an estrogen like chemical. Helps with menstruation and and female fertility. The leaves have antioxidants and do not taste that bad. Has steroid like properties which reduces pain and inflammation. Not certain of this study haven’t seen others. Claims over consumption can cause kidney fibrosis. Here is a recent study showing diosgenin fights cancer, inflammation, increases thickness of skin, has antibiotic properties, helps with diabetes, helps with thrombosis (blood clotting), and is and anticoagulant. Has cardioprotective properties. This is not medical advice and should not be taken as such. I have posted this for informational and educational purposes. Know your plants if in doubt don’t . Some parts of plants are edible while other parts can be lethal. There are many species of yellow dock but the one most are familiar with is R. Obtusifolius. It has many benefits from detoxing, providing much needed nutrients especially minerals. The young shouts and leaves can be eaten but become high oxalate when they get older especially when the stems start turning red. Oxalates can cause severe damage in the body and even death. It is why I mainly use the root and only eat the stems once in a while when they are very young. Young first years roots taste good cooked in butter they have kind of a nutty flavor. When they get older they get tough and bitter. I use second year roots to make tea. 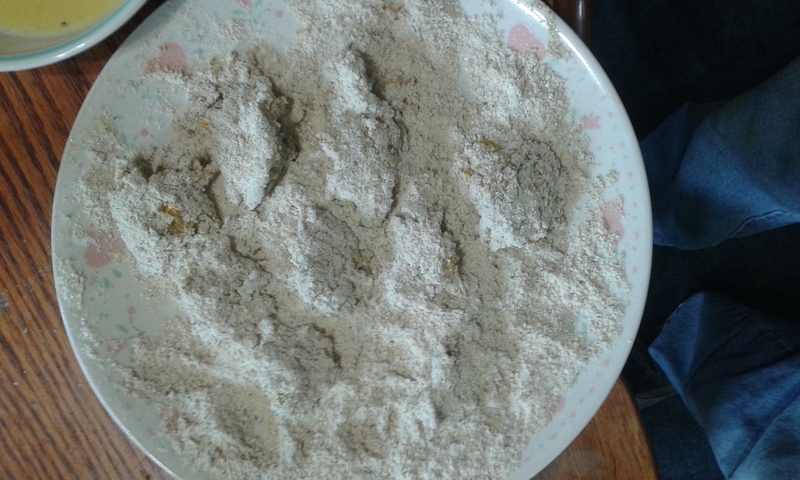 So separate the seeds from the husk and use them to make flour. I have not been successful with that. I did see a video on Youtube were a young man used a food processor with a dough mixing blade on it to separate them and then put them on a tray an place a fan by them to blow the husk away and it seemed to work pretty well. The health benefits of the root is pretty astounding to me. There are other types of dock with similar benefits but in my area Yellow Dock is the most common. Most Docks have cross bread and share the similar benefits. R. Obtusifolius or very common and have cross bread so much you can barely tell them apart. The leaves are so high in oxalates eating them can be fatal. The seeds have antifungal properties. Helps with just about every illness it is even good for detoxing. Since most Yellow Dock has cross bread with Curly Dock I am going to include studies on it. Protects DNA and fights cancer. The fruit protects from oxidative stress. The root prevents bone loss so would help with osteoporosis. This is for educational and informational purposes and should not be taken as medical advice. If in doubt don’t. If you do not know a plant well do not use it. I do not like the taste of Yarrow but I do know eating it has had noticeable effects. I noticed I had increased energy levels. There are sites that claim it lowers blood pressure but my friends who had hypertension experienced a rise in their blood pressure when they used Yarrow. Has has been used for many illnesses even hemorrhoids. There are claims that when applied to wounds it stops bleeding. There are many species of Achillea but I am fimiliar with A. Millefolium. The others chemical makeup is very similar. Contains Achillolide A which prevents amyloid plaque build up and would help with Alzheimer. Achillolide A has many benefits. Achillolide A reduces reactive oxygen species. Yarrow helps with diabetes by increasing insulin sensitivity. They claim it reduces blood pressure through it’s diuretic properties but I have seen it increase peoples blood pressure. One thing I did notice the ones it increased blood pressure in did not drink adequate amount of water. Improves cognitive abilities, prevents strokes, reduces oxidative stress, reduces symptoms of MS, and helps with neurodegenerative disorders. Only way to describe this is it enhances the immune system. Appears to kill pain without no toxicity. Can cause problems in those with high glutathione levels. This study is viewed as negative but it appears by their results it reduce quinone and would help with interstitial cystitis. If I had time I would get into more detail and explain why. Helps with diabetes by protecting pancreatic cells. Reduces oxalates so would help with high oxalate levels and stone formation. It is effective against the New Castle Disease Virus and other infections. Is neuroprotective, protects the brain. Inhibits histamine H1 receptors and muscarinic receptor. This is what I notice in the other study and why I said it would help with interstitial cystitis. It has NO scavenging abilities. The also would help with kidney disease were people have excessive bleeding. How it helps with acid reflux or gastric irritation. Is a calcium channel blocker. This would help with things like high blood pressure, and other circulatory disorders. Yarrow stimulates bile production so would help with constipation and gall bladder issues. This is not medical advice I am posting this for information and educational purposes and should not be taken as medical advice. If in doubt don’t make certain of a plant before you use it. I have eaten the seeds but no other parts. This plant is new to me. I know it is Roundup ready because I have seen it in field that had been sprayed by Glyphosate containing products so be careful where you forage it. They can overtake a crop and can reduce production. The fiber is used to make rope. I have seen sites that claimed the seeds can remain viable in the soil for many many years. So when I forage them for the seeds I pull the whole plant out because I get them from a friend who grows his crops organically and uses no harmful chemicals. The leaves have antioxidant, antibacterial and anti-inflammatory properties. The leaves also reduce hydroxy radicals. Contain Hibiscuslide C which is antifungal. The flowers are high in flavoniods. Sumac, no it is not poisonous. This is not medical advice and should not be taken as such. If you are not certain don’t, do not use a plant if you do not know it. Make certain of thing you plan on eating or using. No it is not poisonous. It is very tasty it taste like lemon aid but does not have the bitter after taste. It has many health benefits. The poison sumac is not in the same family. There are many in the Rhus family which is the sumac family. The one I will be talking about is Rhus Typhina which is known as Staghorn Sumac. There are a few other species in my area but Staghorn Sumac has the lowest oxalate levels. The sumac berry of all species is very high in nutrients. It grows very quickly and spreads through the roots or seeds so be careful where you plant it. Since the nutrient content of most of the rhus are the same I will list studies for a variety from the rhus family and it would most likely apply to R. Typhina. Many cultures have used Sumac berries in their cooking and there are many recipes on the internet on using them in your cooking. High in gallic acid which protects our DNA. Stimulates PON1 which helps with detoxing and diabetes. Scavenges reactive oxygen species. Reduces oxidative stress. Which would relax the blood vessels and lower blood pressure. This is not medical advice and should not be taken as such this is for informational and education purposes. Please make sure you know your plants if in doubt don’t. I love the taste of shepherd’s purse. It is high in sulfates and I had issues with high sulfite leveles but for some reason it did not bother me like other foods that are high in sulfur. Has been found to help with urinary problems. Prunella Vulgaris is the one I am familiar with Prunella Grandiflora has bigger flowers and I have never seen it. They are known as heallall, or self heal. This is not medical advice this is form information and educational purposes and should not be taken as medical advice. If in doubt don’t, if you are not certain of the identification of a plant do not use it. Has many health benefits and has been shown to stimulate healing throughout the body including areas that are difficult to heal like cartilage and ligaments. Has been shown to fight cancer and infection. Fights cancer through multiple pathways. Protects against UVB damage and aging. Prevents renal fibrosis so would help with fatty liver. Helps with autoimmunity,excess inflammation and allergies. Is high in ursolic acid which has many health benefits. Inhibits HMGB1 which helps with sepsis. Helps with mast cell activation syndrome or allergies. This is not medical advice it is for information and educational purposes. If in doubt don’t, please make sure you know your plants before using them. Also known as knotgrass. Usually used to make tea. In Japan it is used in soups and crushed and used in many other dishes. It has oxy radical scavenging abilities. It can scavenge peroxynitrate which cause a lot of damage in the body especially to the bladder and blood brain barrier. It reduces oxidative stress. Helps with asthma and COPD. High in Juglanin which inhibits cancer. Ironweed, Veronia species of flowers. Veronia Noveboracensis known as New York Ironweed is the one I am familiar with. Most of the Veronia species contain Vernolid A which has been shown to inhibit cincer. V Noveboracensis does not contain as much as the others. This is the only species I have seen in person. Veronia Amygdalina and V. Cinerea were the most potent of the Veronia species. V Amygdalina reduces oxidative stress and helps with diabetes. V Cinerea can help with nicotine addiction. V Amygdalina can reduce oxidative stress. Have not seen toxicity studies on the other Veronia species but V. Cinerea shows no toxicity. Prickly Lettuce also known as opium lettuce. This is not medical advice and should not be taken as such. It is for information and educational purposes. Know your plants before using them. If in doubt don’t. Luctuca Virosa is in the lettuce family it is wild lettuce. It contains the highest amounts of Luctucarium a pain killer that has sedative effects. It is chemically similar to opium but is non addictive. Luctucarium is the white milky substance you see when you peel a leaf from a head of lettuce. Domesticated lettuce seeds are also high in it. Prickly Lettuce has a bitter taste but I kind of like the taste. It has been shown to have anti inflammatory properties. There have been incidences of overdosing but none fatal that I am aware of. Has been shown to fight malaria. Information on preparation and usage. There are a variety of wild lettuce and most are not as potent as L. Virosa. It also contains vitamin A.
Lobelia also known as indian tabacco. This is not medical advice and should not be taken as medical advice. If in doubt don’t please know your plants before using them. Helps those with breathing issues. Has been used to break nicotine addiction. Has an alkaloid similar to nicotine but non addictive. Has been shown to reduce nicotine withdrawal. Can cause overdose similar to nicotine overdose so has to be used with causion. Most of the lobelia have the same phytochemicals but Lobelia Inflata is the most potent and the one I am most familiar with. I cannot identify the others. Can reduce the cancers resistance to apoptosis. Stimulates the VMAT2 receptor also known as the God receptor because it activate when we participate in spiritual things. Vaccines can damage and inhibit the VMAT receptor which can cause psychosis and bipolarism. It also helps break the abuse when addicted to psychtropic drugs. Some of the chemicals in lobelia are Sigma1 agonist so would help with methamphetamine addiction. When used in moderation it is hepaprotective. Helps with asthma and bronchitis but has many side effects if over used. Persicaria Maculosa it is also referred to as Polygonum Persicaria. This is not medical advice and should not be taken as such. If in doubt don’t. Make sure you know a plant before you use it. I have eaten Lady’s Thumb, it does not have much taste but a similar plant that can easily be mistaken for lady’s thumb has a peppery taste. I do not think it has much nutritional value but some studies have shown it reduces symptoms of herpes. Lady’s Thumb does contain a potassium channel blocker. This means it could slow the heart rate down. This also gives it cancer fighting properties. The polygonum species are all high in antioxidants. They inhibit xanthine oxidase which would prevent excess reactive oxygen species. This is for educational purposes and should not be taken as medical advice. If in doubt don’t, make sure you know a plant before you use it. The poison is in the dose. Many plants we eat contain things that could be poisonous if eaten in large amounts but are beneficial when consumed in moderation. The one I am referring to is Eutrochium Maculatum. They all pretty much have the same phytochemicals. Joe Pye also known as gravel root has a wide variety of health benefits. It fights many pathogens including fungal infection. When I first made a tea of it and was still beginning treatment for my Lyme I herxed bad. It is very potent as an antibiotic. It reduces inflammation and fights cancer. Some species of gravel root contain alkaloids that can damage the liver if taken for too long or in to high amounts. Joe Pye is a beta blocker. Many species of honeysuckle are poisonous so be careful. Japanese honeysuckle will have both white and yellow flowers. It is good for lowering blood pressure and healing the heart and blood vessels. It has relaxant qualities. It has anti inflammatory effects. The whole plant can be used. Has been shown to be effective against respiratory tract infection. Has been shown to be neuroprotective. Scavenges Nitric Oxide so would be good for the heart. Appears to have no toxicity. Oxeye Daisy has many benefits. It reduces inflammation, histamines, pain and is a relaxant. It helped me with nausea and muscle spasms. It contains pyrethrin so should be used in moderation. Pyrethrin is good at killing lice and for insect control. It can be confused with Leucanthemum Superbum which has more petals that overlap. It is known as the Shasta Daisy. I do not know much about it’s usage. I have never used it. I do know the Oxeye Daisy has relaxed me when I could not sleep. I enjoy the taste of the leaves and only use the flowers when I make tea. Pyrethrin is effective against herpes. Known as Trumpet Honeysuckle or Coral Honeysuckle. Native Americans used it for asthma, sore throats, coughs and chewed leaves were used on bee stings. The berries will induce vomiting if eaten. For me I would not use it because there are other alternatives that have been studied. I have not found studies on the safety or efficacy of this plant. But it does attract humming birds. Most know them as ground cherries here in Pennsylvania. I have seen the amish plant these among their corn plants. They grow wild in many areas of the U.S. All parts of the plant are toxic except the berries when ripe. The berries are ripe when they turn yellow. They have a slight tart taste, I add them to salsa. If you have eaten a tomatilla then you will know what these taste like because the taste is pretty much the same but the tomatilla is much bigger. Some make pies and jelly from them. I eat them but have not gotten enough to make anything from them. The chipmunks eat them before I can pick them. Many say they taste best if you wait until they drop off the plant. I noticed no difference in taste from ones ripe on the plant and ones that have fallen from the plant. Though the links are to different varieties of physalis the nutrient and chemical makeup of most of them are pretty much the same so just about any variety of them would have the benefits mentioned in these studies. Most all of them even tomatillas contain withanolides. Which fight cancer and inflammation. Often times in chronic illness glutathione production is inhibited and quinone levels can become very high. Physalis group of plants have phytochemicals that can increase glutathione and the enzyme needed to reduce quinone. It is claimed to have many benefits though I only had tea made from the leaves a few times so I would not know any long term effects. People around here in Pennsylvania have referred to it as New York Figwort though I have not seen it referred to as that anywhere else. The Scrophularia family does contain unique anti inflammatory qualities. Figwort contains harpogaside which is also found in devils claw. It has been shown to reduce pain and inflammation. Harpogaside has been shown to reduce LDL levels. Harpogaside has been shown to reduce osteoperosis. It has been shown to reduce amyloid-B plaque build up which causes alzheimers. There are many health benefits to Evening Primrose. I found making a tea with the roots really helped in healing my gut. The roots are very high in mucilage. I found all parts of the plant to taste almost identical to ginger and even seem to have the same effects at reducing nausea from my herxing. I make teas from just about all parts of the plant and once in a while put the leaves in my salads. Evening Primrose is very good at reducing inflammation. Has been shown to have cancer fighting qualities. Has been shown to reduce symptoms of menopause. Though there are many species of Cornus (dogwood) some can be toxic and some can be edible and the leaves and berries are used. The one I am familiar with is Silky Dogwood and I make tea from the leaves and I eat the berries which are plain tasting to me. The berries are high in quercetin. The phytochemicals in the berries have been shown to fight cancer. Canadian Thistle has many benefits but is very invasive. I grow it but I keep it isolated and I cut the tops off before the seeds can spread. It is very very difficult to control if you let it go to seed. 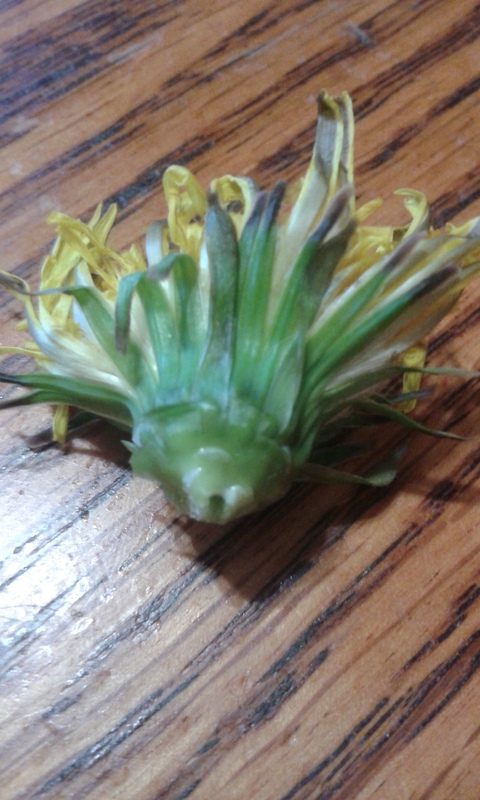 It can spread through seeds they are similar to dandelion and how they are dispersed. They also can spread through their roots which are very aggressive. The leaves are edible but you must make sure you get the pricklys off. The roots are edible but if you eat too many they will make you gassy. It helped me a lot with my fight with Lyme. I do enjoy the taste but it is a lot of work getting the jaggy parts off the leaves. The roots have a lot of health benefits also. I like peeling the leaves downward. That removes many of the prickles from the stalk of the young plants, then I light crape it with a knife. Then I eat the stalk, it is a very good tasting vegetable. Has a very sweet taste and is very juicy. Canadian Thistle has great antiviral and antifungal properties. Canadian Thistle is a good source of antioxidants. Speedwell, common gypsy weed also referred to as Europe Tea. Has been used for centuries as food, tea and medicinal purposes. There are hundreds of species but the only one I am familiar with is Veronica Officinalis. Speedwell has been shown to help with gastric ulcers. Veronica species have antibiotic properties and great antioxidant properties. Veronica Officinalis has great anti-inflammatory properties. It is considered invasive in the US but I have not had a problem with it spreading because the deer and ground hogs love it. As a matter of fact because of that I have a difficult time getting it to grow. It is very high in nutrition, I love the taste of the leaves. First year roots are very tasty but second year roots are bitter and tough. Teasel is amazing it helps with everything, tick born illness, cancer, osteoporosis. The list goes on and on. It really helped with my Lyme Disease. It is great at reducing inflammation. It helps with amyloidosis which can be caused by vaccine injury especially vaccines that contain aluminum. Glyphosate and other farm chemicals can cause it. Also infection can cause amyloid cyst to form. This is a list of the phytochemicals in teasels and what they do. This is one of the best sites for learning to identify plants and learn their uses. Most know it as goosegrass, bedstraw or cleavers. It is a super food it is very high in nutrients. It is good at fighting pathogens and cleans the lymphatic tissues out. Some like the taste, I eat it and I can actually feel the health benefits but I do not like the taste. This herb helped me the most out of all of the herbs I consume. There are many species in the Galium family but Aparine is the most common one. The benefits of Mugwort are amazing. It has many amazing properties from stimulating the brain to repair to killing pathogens and parasites. It has even been shown to be 1000 times more effective against cancer then chemotherapy. It has been shown to reduce pain and anxiety by raising GABA levels. The chemical makeup of Mugwort and Wormwood are very similar. Wormwood is Artemisia Absinthium. Infection and parasitic fighting abilities. Eco friendly insecticide, I use it in my garden to keep insects off my plants. It also kills many types of molds that can grow on plants. Helps with colic and asthma. There are many varieties of Mullein which is the Verbascum family. This is Verbascum Densiflorum. It is the only one I have eaten. It is very fuzzy and taste like cabbage. It has many health benefits from reducing inflammation to helping with asthma. It is great at fighting infections. This site is the best for learning to identify plants. It also has a lot of very good information on how to use the plants. Has antioxidants, contains berberine which is known to fight many pathogens. Reduces oxidative stress, inflammation and oxLDL. Has been shown to fight cancer. When I was a kid and I would get ill I would crave the leaves from this plant although it is the berry that is used. When the leaves get red they get very bitter. It has even been shown to help with acne. Has been shown to help with fibrosis. The bush is invasive and is not native to the US. It can spread and cause problems. I try and isolate my bush and get the berries before the birds to prevent it from spreading. I had to move my bush so I just ripped it out and gathered a few small ones to replant. They are the ones you see in the pictures. Mildly poisonous. Roots were eaten for food. Young shoots were eaten after boiling for ten minutes. I have never eaten it. Eating this plant raw has been known to give a person severe diarrhea. False Solomons seal also has an edible root. I am cautious with plants that have toxic upper parts . Many eat the plants before the leaves open which reduces the toxin levels but if you are dehydrated and starving I cannot see where eating a plant that could give you diarrhea would be of benefit. Diarrhea would deprive you of nutrients and dehydrate you even more. That being said there are people that eat the roots of both plants. Since the GMO producers have been destroying our food supply and also because of GMOs destroying the insects that pollinate our food supply, I decided to show people alternative food sources. One of them is the dandelion, it can be tasty and have many health benefits. Dandelion is one of the few things that can detox glyphosate and glufonasate. Dandelion is listed among the plants that help with obesity, high LDL, inflammation and even cancer. Dandelion has too many benefits to list. It is a superfood. I like mine deep fried but there are many ways to use them. They can be used as greens in salads, on sandwiches, in salads, or cook them with other greens. They can be bitter so don’t over do it. They are best picked before the flowers come on. I try to pick lighter green leaves because they seem to taste better. They can be bitter but in moderation they add a nice bite to a meal. 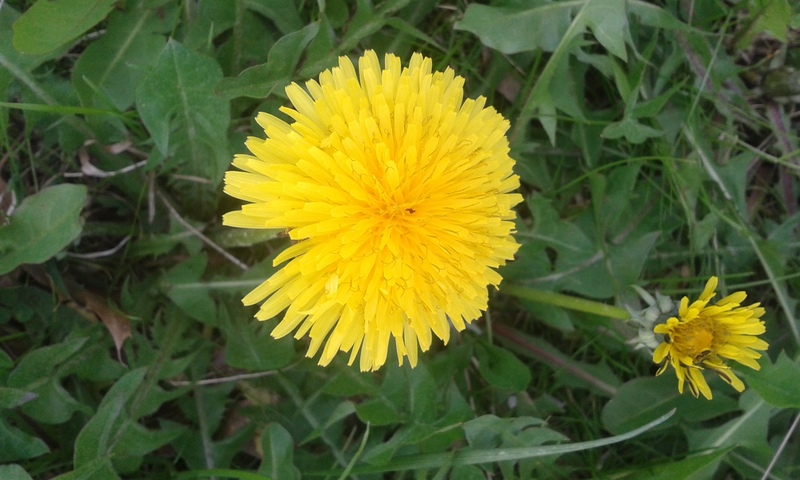 Dandelions have been shown to protect the renal systems. They are very nutritious but they are a diuretic like coffee and tea, so you should drink more water when you consume anything from the dandelions. There is a saying if in doubt don’t, if you are not sure of what the plant is do not eat it. This is a very good site in learning to identify plants and how to use them. 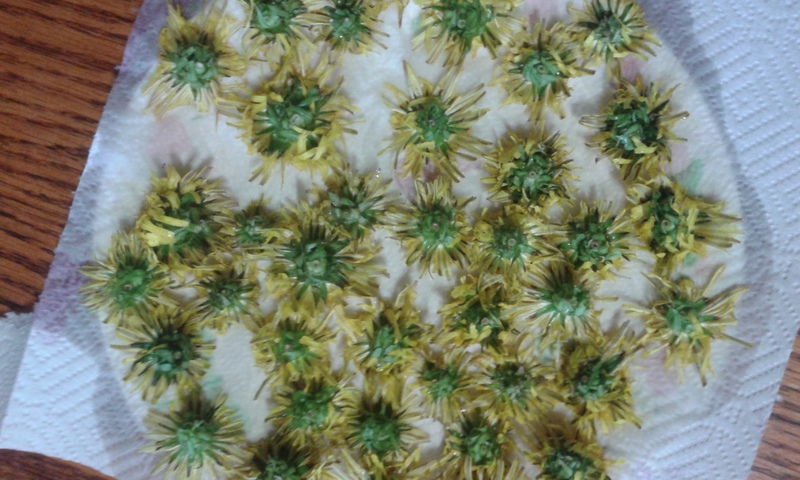 My Favorite Deep Fried Dandelions Flowers. 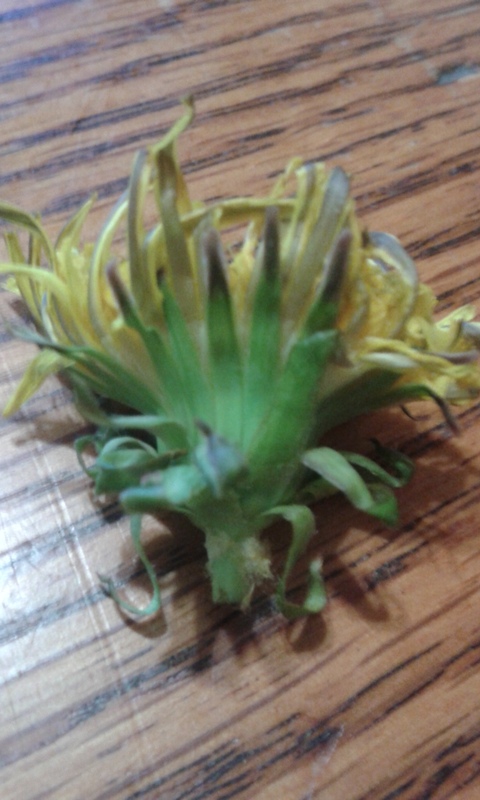 This is my favorite of all ways to prepare dandelions. The flavor is like a cross between artichoke heart and zucchini. After you pick the dandelion flowers try to remove as much green as possible to remove some of the bitterness. Their is a ring around the flower with little leaflet like things on it. I try to remove them. Be careful if you remove too much green the dandelion will fall apart. Some people do not wash theirs but I prefer to wash mine because I have seen slugs on them and they carry some pretty dangerous diseases. After I wash them I set them on a plate that has paper towels so that they can dry. After they have dried a few minutes I dip them in a mix of egg and just a tiny bit of milk. For the breading I use a fifty fifty mix of Italian style bread crumbs and and all purpose flower. After I cover them with the breading I let them set a minute or two because it seems to make the breading stick better. 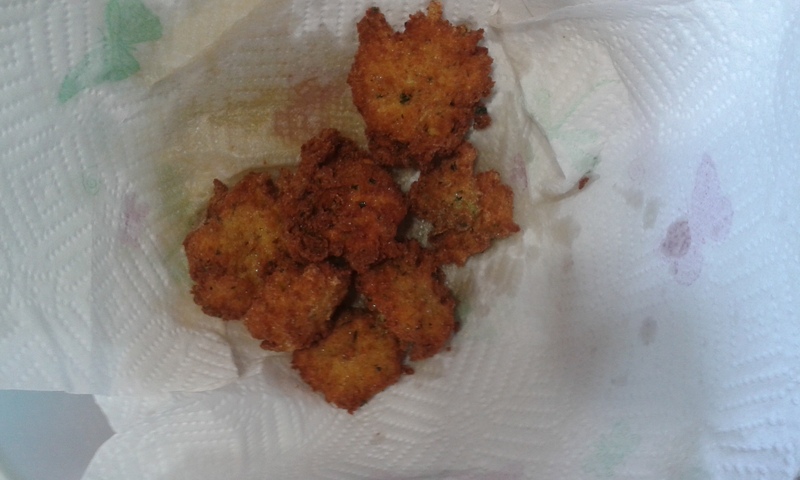 When you are frying them keep a very close eye on them because they cook very quickly. You will have to turn them once one side has been cooked. Eat and enjoy.